On June 21, 1964, the Mt. Zion Methodist Church was burned to the ground by the Ku Klux Klan in order to prevent the church’s being used as a “Freedom School”. Standing amid the rubble were 3 civil rights workers who hoped to form that school: Andrew Goodman, James Chaney, and Michael Schwerner. 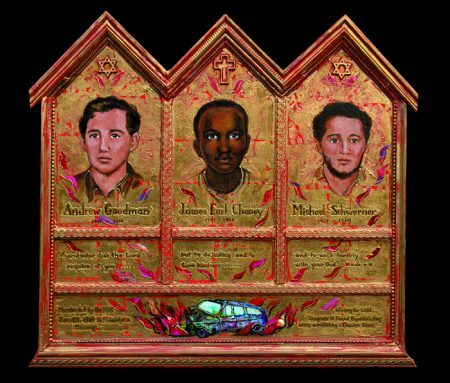 Michael Schwerner was a 24 year old social worker from New York City who had been working in Meridian for the Congress of Racial Equality (CORE) since January. The KKK had been attempting to drive him out of Mississippi because he was a symbol of the recent invasion of young civil rights workers into the South. James Chaney, 21, was Schwerner’s closest associate. He had grown up in Meridian the son of a domestic servant and an itinerant laborer.Because he knew the back roads of the area and every family in the county, he was a valuable addition to the CORE team. Andrew Goodman was an anthropology major from New York. This was his first day in Mississippi.He had begun his activities in civil rights when he was only 14 and he planned to spend the summer of ’64 as a volunteer for the Mississippi Summer Project. As they left the smoldering ruins of the church and headed toward Philadelphia, Mississippi, a plot to kill them was already underway.Stopped and falsely arrested for speeding and arson by Deputy Price, then suddenly released from jail at 10 PM they were ordered out of town. They had not traveled far, when they were pulled over again, but this time the Deputy was accompanied by 2 cars filled with Klansmen. 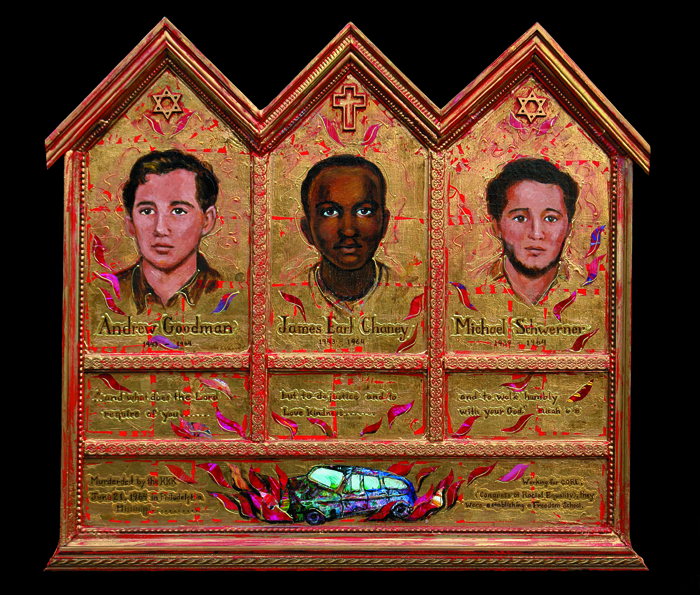 Goodman, Chaney and Schwerner were driven to an isolated spot and, one by one, ordered out of the car and shot at point blank range. Their car was burned and hidden in a swamp. Their bodies were buried under an earthen dam. The disappearance of the 3 civil rights workers sent shock waves around the world. Within hours of their disappearance, President Lyndon Johnson ordered the Justice Department to begin an investigation. Over 100 FBI agents were sent to dredge rivers and comb the swamps; finally an anonymous informant revealed the location of their bodies. In October 1967 seven Klansmen were found guilty of federal civil rights violations in the deaths of Goodman, Chaney and Schwerner.It was the first time a jury in Mississippi had ever convicted Klansmen in connection with the deaths of a black person or civil rights workers.